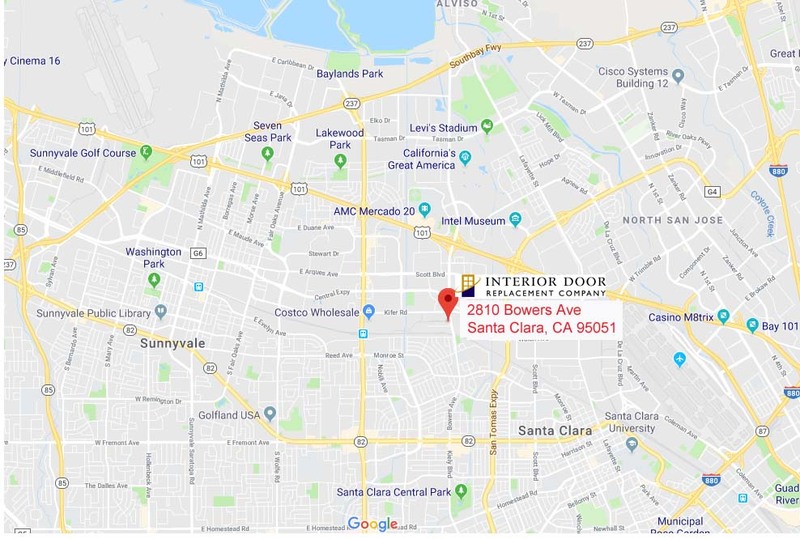 Beginning Monday, February 26, 2018 Interior Door Replacement Company will have a new home in Santa Clara. Our new address is 2810 Bowers Avenue, Santa Clara CA 95051. Business hours will remain the same (Mon-Fri 8am to 4:30pm and Sat 10am to 2pm), although we will be closed on Friday and Saturday Feb 23 & 24 to move our showroom. Customers are welcome to visit our new showroom starting Monday February 26. Below is a map to our new location.